Spring is that time of year when getting things in order begins. It’s a fresh start to getting organized and putting on those gloves for some long overdue deep cleaning. But what will you overlook? In this article, we’ll be discussing 4 home inspection tips you should do to prepare for spring weather in Lexington, KY.
As we’re all aware, spring can bring thunderstorms that include high winds, hail and heavy rains. When it comes to your roof, you’ll want to make sure it’s fully protecting your home. The shingles on your roof can be damaged by wind and you may not even know it. This doesn’t always occur from one single event, but over time. The catch is, once there’s been enough consistent wind impacts, the next wind storm may not take much to finally cause harm. Here’s a few tips that are simple steps you can take to ensure your roof is in great shape. Step 1) Take a walk around your house. Look to see if you find any missing or bent shingles. If you notice anything that looks out of place, we offer free courtesy inspections of your roof to confirm if you need to take action. Step 2) Inspect your attic for any types of water spots. This may not be your favorite place to go, but a necessary precaution if you fail to see anything wrong with the exterior of your roof. A common place to look is within the rafters. Pay special attention (use a flash light for a closer look) to any very faint signs of dark circles. Step3) Take a close look at your ceilings. Start with viewing any and all fixtures such as bathroom vents, ceiling fans, lights, etc. Also consider where the exterior wall meets your ceiling as this is normally a traditional starting point. Just like your attic, you’ll want to search for small, but faint discoloration. Sometimes this initially appears as small as a dime, but if caught soon enough, it will save you thousands in future repairs. If you have last fall’s leaves still clogging your gutters, this will be the first action to take. Make sure to remove all debris, so come the next rain fall, you’ll be able to notice if your gutters are functioning correctly. Gutters cause more types of damage than most homeowners are aware of. They can be reason for foundation issues, roof leaks and cause erosion in your yard. 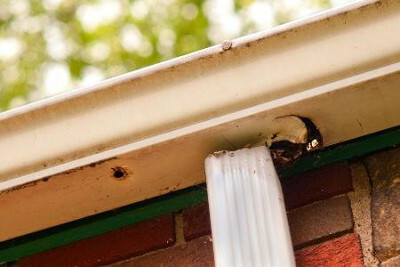 Here are a couple of steps you can do to inspect your gutters. Step 1) Look for any type of loose or hanging gutters. Sometimes just a simple adjustment can be the one preventative measure that prevents future costly repairs. We offer a variety of gutter services in Lexington if you need any assistance. Step 2) Try to find any cracks or signs of rust. You may also be able to spot signs of water run off along your exterior walls. Pay special attention to the end caps of your aluminum gutters. Often, you can see where debris is trying to penetrate through these connections. 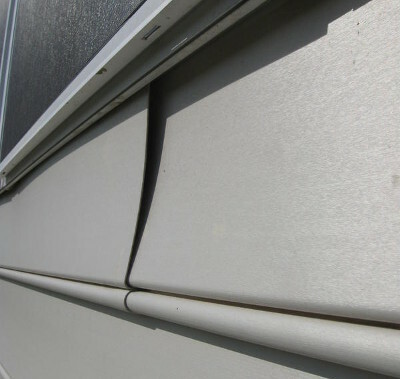 Inspecting your siding may not be the easiest of tasks. In fact, may homeowners leave it in our hands to make sure there isn’t any required siding repair or maintenance requirements. 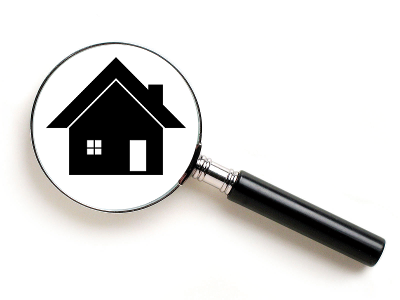 One simple inspection step you can take. Step 1) From a side view, look to see if any siding looks bowed or loose. This is easier to spot vs. looking directly at it. In most cases, your siding can be popped back into place with no future worries. Although, if yours hasn’t been installed correctly, you may want to have us take a look so you’re not facing larger issues with water penetration. As the weather temps increase, you may finally be turning on that AC unit after months of running the furnace. Once you do, it’s a great time to inspect your windows. Step 1) Once you’ve turned on your AC unit and the outside temperature is hotter than the inside of your home, you can try the following. Simply walk outside to all available windows that you can reach and feel along the edges for any cold air penetrating the outside of your home. This may not necessarily be something that is cause for concern when it comes to spring weather, but saving money on energy costs never hurt anyone. 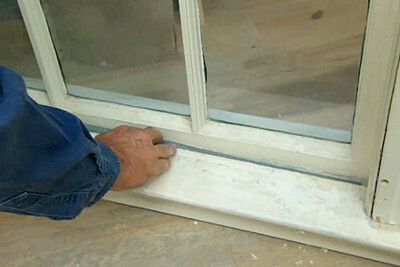 We offer a variety of replacement windows in Lexington, KY if you’re interested in cutting these costs. When it comes to preparation, we’ve got you covered! 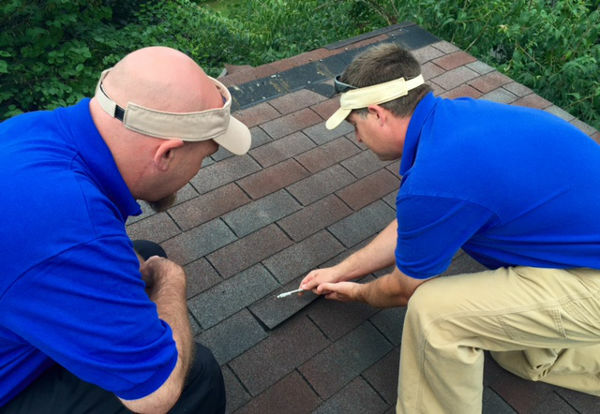 Lexington Blue offers a variety of inspections services, all of which are free. Whether it’s from a past storm or preventative measures you want to take to ensure it’s protected, we provide the service. No pushy sales tactics, but rather an unbiased opinion by true professionals. We have always offered free inspections of roofs, siding, windows and gutters. So what are you waiting for? Let us help you inspect your home so you’re well protected from the spring storms in Lexington, KY.